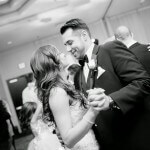 Never in our lives would we have imagined witnessing middle-aged professionals dressed in the fanciest wedding day attire laugh and play like overgrown giddy schoolchildren, but as they say, “never say never”. 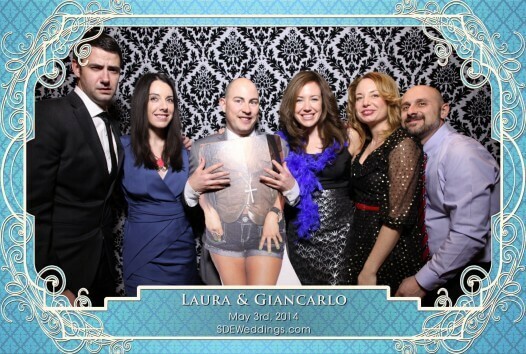 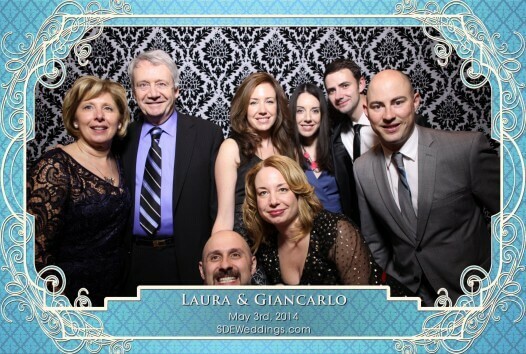 Such an unexpected sight is exactly what we witnessed during our photobooth work for Laura & Giancarlo’s wedding celebration which took place earlier this month on May 3rd 2014 at the luxurious Terrace Banquet Centre in Vaughan, just a stone’s throw away from Toronto. 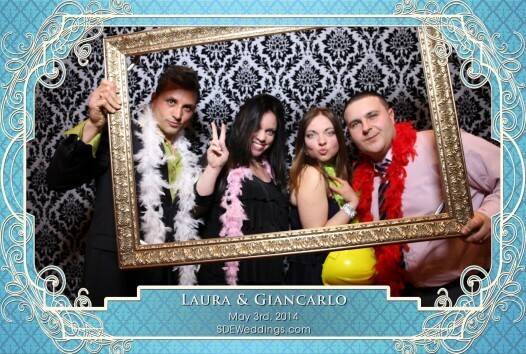 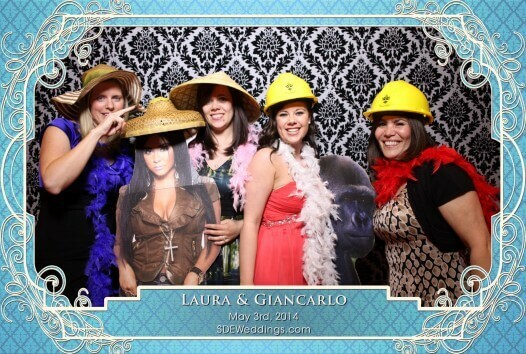 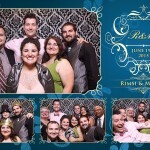 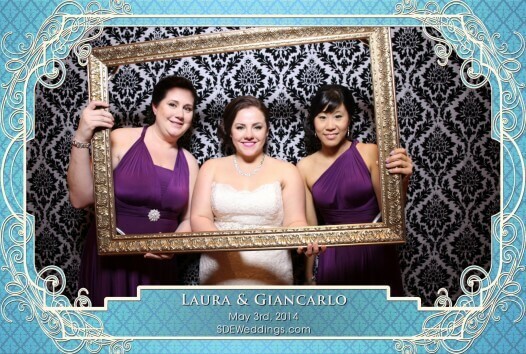 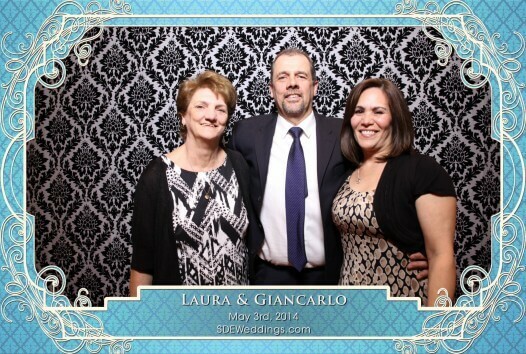 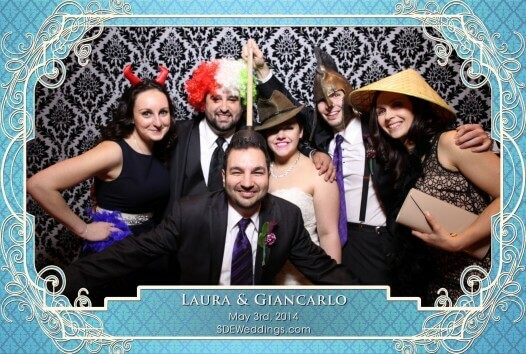 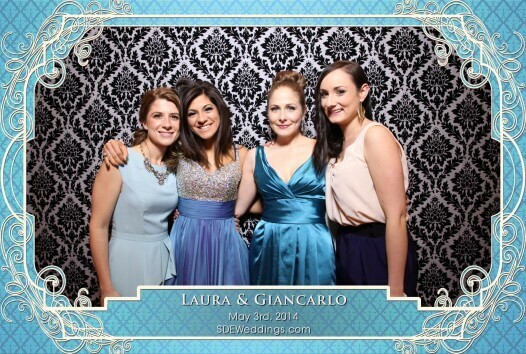 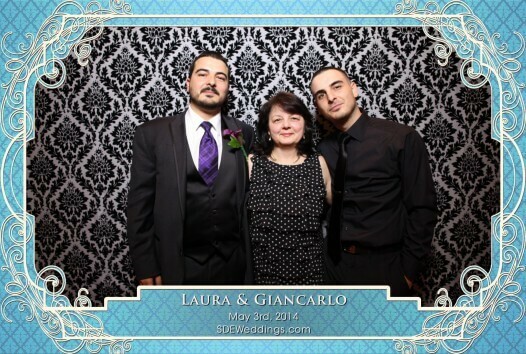 Of course, for Laura & Giancarlo’s extensive guestlist, not only the older of folks but a whole plethora of people were in attendance, and from what we gather and what you can preview below, all universally enjoyed their premium photobooth experience. 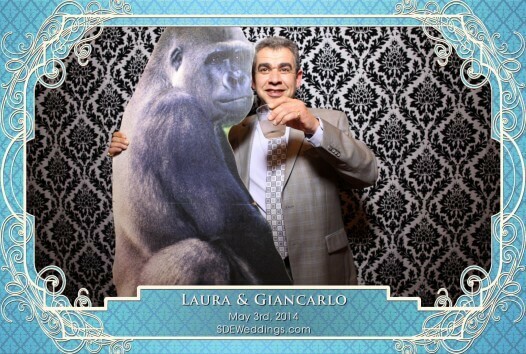 Still, this goes to show that even the stiffest of suits can be brought out of their shell with the right environment (and perhaps enough alcohol!). 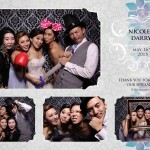 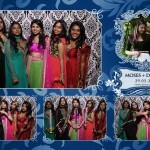 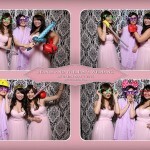 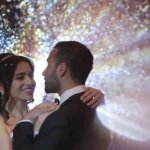 Our photobooth staff here at SDE Weddings, Toronto’s premier wedding videography and cinematograhy group, have always made it a point to promote a photobooth as a great addition to any event, helping to bring your closest friends and family even closer to one another. 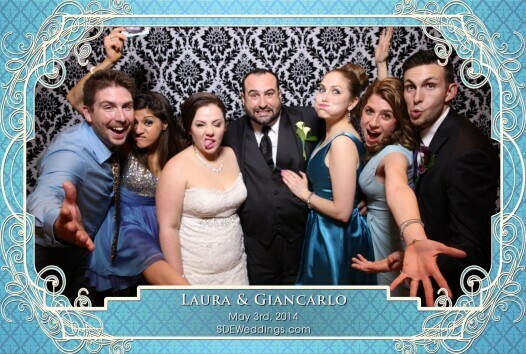 As for Laura & Giancarlo’s big day, eight hours of open photobooth and over 1400 photos printed in total for all the enamored guests makes us believe we’ve done our work right. 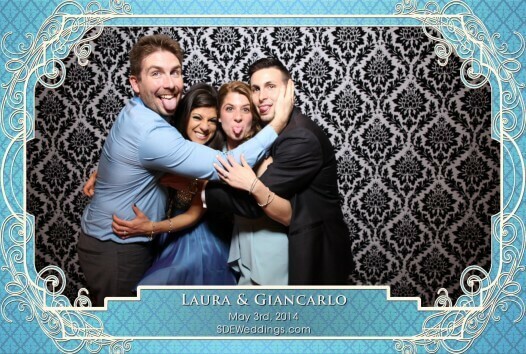 Take a peek at some of the more candid moments with the preview pictures below.